INDUSTRY.co.id - Jakarta - Japan Medical Instruments Co., LTD. (JMIC), (Head Office: Chuo-ku, Tokyo, President and CEO: Hiroo Seki) will hold an Advanced Medical and Medicine Forum (AMMF 2018), which is the first medical seminar in Indonesia to provide an opportunity for Pertamedika Group executives, which is one of the leading medical groups in Indonesia to obtain information on Japan medical treatment and medical knowledge. The forum is also one of the events to commemorate the 60th anniversary of diplomatic relations between Japan and Indonesia, and aims to further deepen the cooperation and business relationships in the health sector between the two countries. 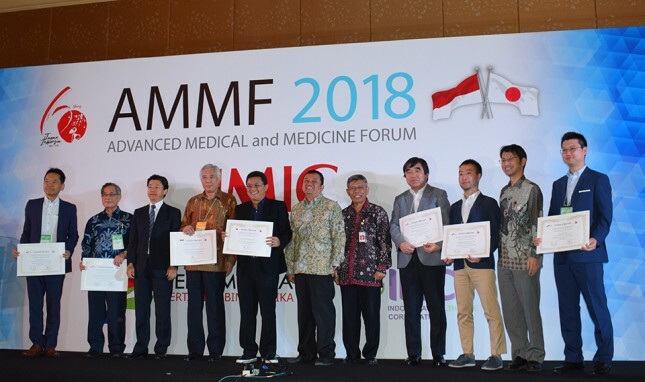 The first forum was held with the theme of "Comprehensive advanced medical care and advanced medical science" by inviting university professors representing Japan, medical personnel involved in health institutions, representatives of medical groups the largest in Indonesia, the Pertamedika Group which has a hospital business almost all over the country. AMMF 2018 itself not only utilizes this forum as an opportunity to share knowledge and medical technology in Japan to the executive audiences of the Petramedika Group, but also to stimulate cooperation and business exchanges in the health field between the two countries. Japan Medical Instruments Co., LTD. (JMIC) as the organizer of the forum and the Indonesia Healthcare Corporation (IHC) (as representative of Dr. Dany Amrul Ichdan) as one of the supporting organizations of this forum will hold a memorandum signing ceremony at the forum to build long-term cooperation relationships and contribute to the development medical industry in both countries. JMIC itself will continue to work as a consultant in information exchange, joint management, exchange of medical experts and others.